If you love camping but still want to enjoy the many comforts of home, car camping could be for you! Camping for the first time with kids? Don’t like “roughing” it? Want to sleep on an air mattress and have ice in a cooler? There’s a good chance car camping is for you. 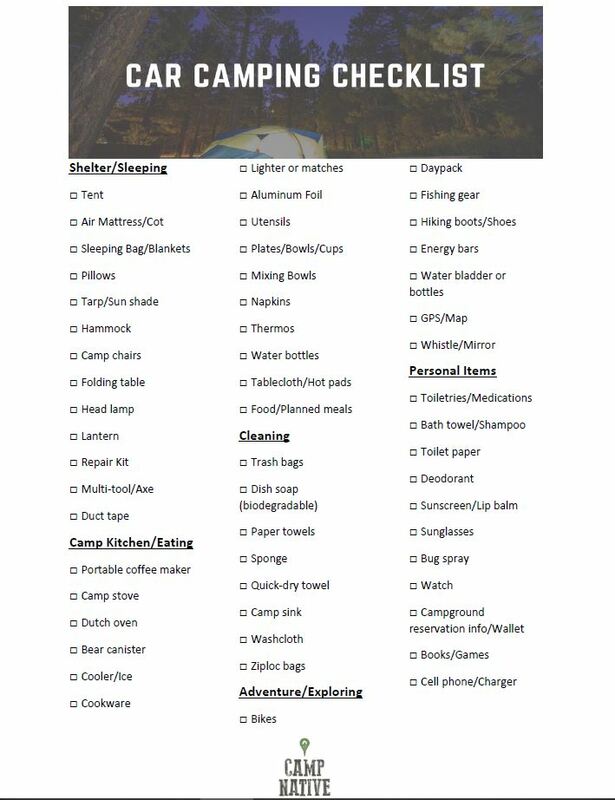 Regardless of whether you’re planning your first family camping trip or you’re heading out with friends, here’s an easy to use checklist. This isn’t an exhaustive list, and depending on where you’re going and for how long, you probably won’t need everything on here. Ready to start packing? You can print off this Car Camping Checklist here.